Buy Classic Volks – Porsche 356 Coupe for sale in Woodland Hills, California, United States. 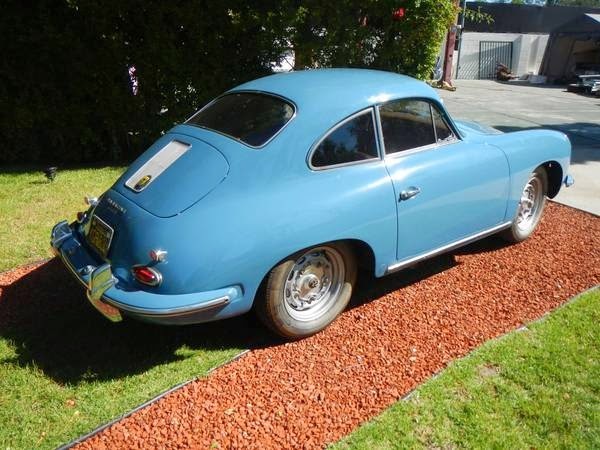 It’s a Dove Blue 1960 Porsche 356 Coupe is a one owner Original California car sold new by Storey-Ricketts in Long Beach California April 27 1960. 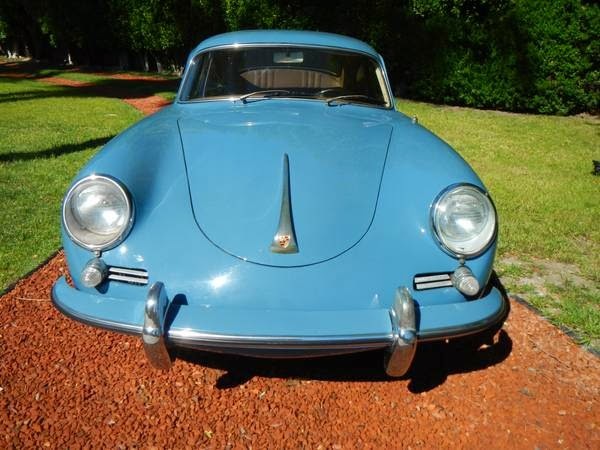 This car has every record including the original sales contract and Mortgage refinance to pay for the car you would be hard pressed to find another 356 with such extensive records since new. The car has just over one hundred thousand miles; it is rust free California Black plated matching number car that still carries the original Storey Ricket License plate frame. This is not a car that has been restored only properly cared for over the years and one repaint in 1980. 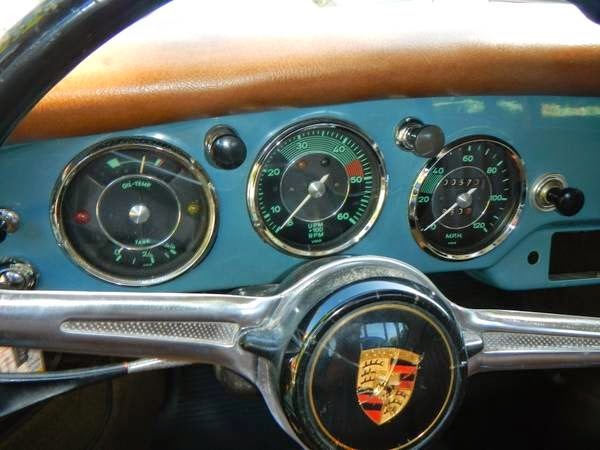 Also included are the two original 356 folders, original radio manual, color chart, original window stickers and sales agreements. There are also two large service books that were given to owner when he purchased the car in 1960. Also all records since new in a large folder. The exterior of the car is has been re sprayed in 1980, the paint has held up very nice with no scratches or major dents, a few very small knicks on the passenger rear quarter, window frames have patina to them and with a piece of steel wool clean up better but not like new, rubbers are good with some minimal cracking around them, glass throughout the car is not cracked or hazed, All body gaps are excellent throughout the car. 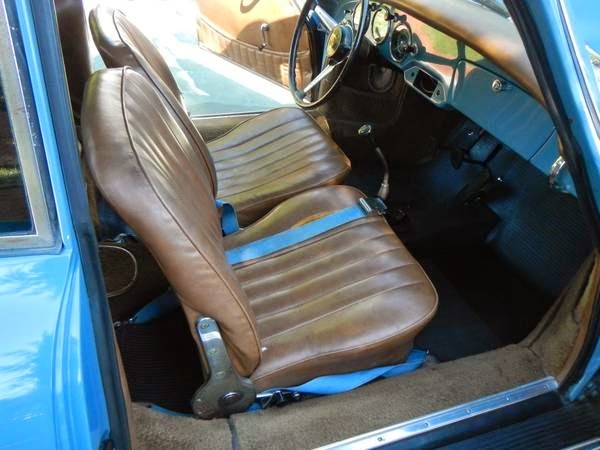 In 1960 the hood got over extended and creased this was sixty dollars to fix and there is a receipt for the work and the insurance claim in the file. 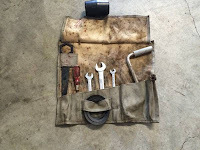 In the mid 80’s someone jacked the car and bent the lower valance on the jack point, there is a photo of the damage, in turn the under floor brace was exposed and there is a crack with some rust in there, again there is a photo of this, I see no other rust or rot in the car there are extensive photos of the underside of the car. I do have the original center caps for the wheels, one has a dent to it that I will get fixed, all wheels are date code correct and the tires are in good condition, I also have the original outside mirror. Complete original tool roll, jack, and spare. 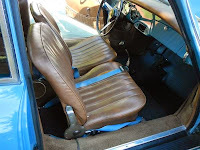 Interior is in nice original condition, driver seat has a tear, headliner has a small tear on driver side, some yellowing around the rear quarter glass not even noticeable in the photos, all gauges, lights, horn etc are working, I do have the original radio although it is not installed. 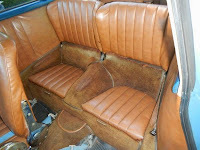 Seat belts were added. 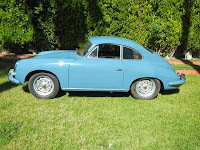 The car runs very well having always been serviced its entire life and two motor rebuilds with receipts, The carb was just rebuilt due to its sitting for some years, syncros, brakes and suspension all in good condition, a recent 100 mile Sunday drive was a pleasure. 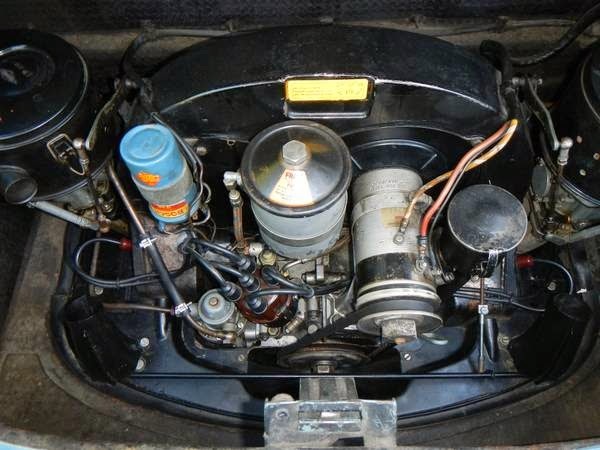 It is the original motor and trans. The undercarriage and motor compartment has not been steam cleaned or detailed, I am not trying to say the car is a show winner, it is an original un restored , un molested, excellent example of a honest 60 35 B. I know there are all of buyers out of town or even out of the country and I can take other photos and help with the shipping of the car. 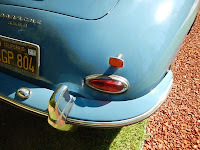 The car starts on the first try, no smoke from tail pipe and no leaks under it. November 30 1960 tried to close the hood after filling the tank and creased the hood, insurance paid $60.00 copy of all paperwork from lokey insurance. 11-67 new tires. 5-25-70. Rear ended copy of police report and repair of $430. For new bumper and straitened quarter panel. This entry was posted in 1960, 356, Closed, Porsche, USA and tagged Porsche 356 on June 18, 2014 by buyclass.